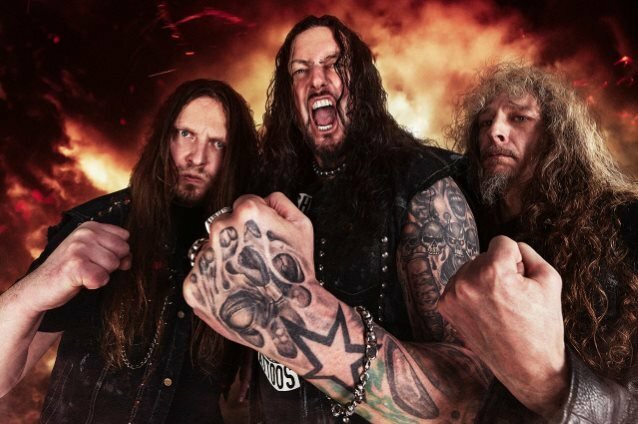 Destruction have announced that they have re-signed with Nuclear Blast Records. The band are planning to release their new album through the label later this year. “Somehow this came by surprise and I know that sounds weird but we were so focused and excited about finishing the new album, that the paperwork did not really matter to us at that time! When we did realize that our contract with the label is due, it took us only some minutes to negotiate a new deal! We are a part of the NUCLEAR BLAST family now since more than 15 years, we feel at home here, we trust each other in this monkey business and also many people that work for the label we call our friends. So this re-signing is something that came very easy and natural. Working with the best label in METAL is still an honor cause they supported us thru the good and the bad times! “Yes — we finally did it again! For many years we’ve been talking about this, but we needed the right guy! Damir Eskic is now that dude! He is a super-skilled player and also a good friend of the band. He will surely make some jaws drop and pay tribute to the history of Destruction, as he is also a fan of our music! To be a trio was a special thing for us that we did with pride for many years but also Destruction had a period where we were a four-piece with a second guitar. Now it was the right time to get that option back! We know there are many fans out there that have been waiting a long time for this. We have composed and recorded the whole new album with two guitars and, of course, this will make us an even more intense live act and give us the chance to play songs again that we’ve not been able to play for many years… Exciting times ahead! Let’s call this a reinvention! With Randy Black on the drums and Damir Eskic on the lead guitar, we have the fresh blood in the band that is sometimes needed to reach new goals, it will keep the thrash machine strong and ready for new adventures! “I am, of course, very happy to be a part of this thrash metal family and to join one of the best bands of the genre. To record three guest solos on the ‘Under Attack’ album was already a big deal for me, now some years later, we’ve become close friends and I am really excited to be a part of this! Destruction have officially welcomed Randy Black (ex-Annihilator, etc.) to the band as their new drummer. He is taking over following the departure of Wawrzyniec “Vaaver” Dramowicz. “After a recent successful tour of Asia, Australia and a handful of great festival shows, I’m very happy to announce my position as the new drummer for the thrash metal legends Destruction! 35 years running! Try to wrap your head around that! It was previously confirmed that Wawrzyniec “Vaaver” Dramowicz would be exiting Destruction this March due to “family reasons.” Now the drummer has officially commented on his departure. “It is an odd and sad headline at the same time Our drummer Vaaver will leave us because of family reasons this March. After eight years this is bad news but we are still friends and wish him and his family all the best! He will release a statement ASAP! Most important: ALL shows will go ahead. Vaaver will play with us till this March. So give him a nice goodbye please! Mr. Randy Black, who already replaced him on his baby-break, will step in for the shows after March, until we decide who will be his worthy successor. Now we have almost beaten SPINAL TAP right? 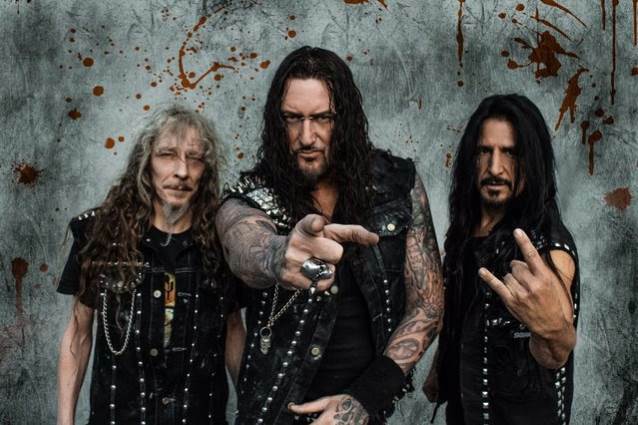 Destruction released an album of re-recorded classics, titled “Thrash Anthems II” yesterday (November 10), and have now shared a new video for “United By Hatred” from the effort. The clip features footage covering 30 years of the band.